Handleiding voor het gebruik van de enquete. 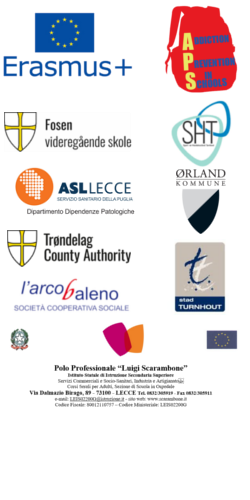 The Addiction Prevention in Schools Erasmus+ Project is a co-operation between partners in Norway, Belgium and Italy. The partners in the project wished to work together in order to develop new perspectives on ways in which schools and educators can prevent, identify and follow up students from developing addiction problems and drop-outs because of addiction problems. In this project we desided to have a broad definition to addiction: addiction to alcohol, drugs,gaming and over use of internet. The website is a result from the project. All content is free to use for anyone who can benefit from it. On this website you can find useful tools, useful links and more information about the project.